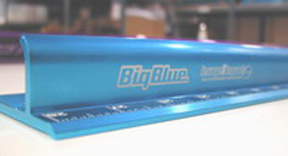 Heavy Duty Aluminum Construction, Eye-Catching Blue Anodized Finish, Curved Aluminum Finger Guard, Non-Slip Grip Tape to Prevent Unwanted Movement, Non-Slip Finger Serration. 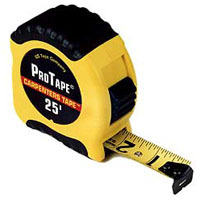 Pro Series - New ergonomic case design with molded rubber grip for comfort and durability. 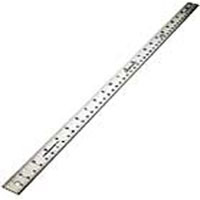 Anyone who has worked in a sign shop will know how valuable this tool really is. 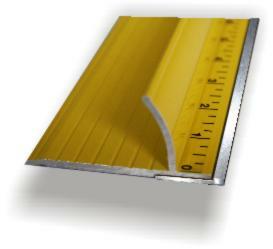 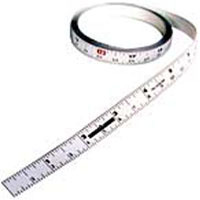 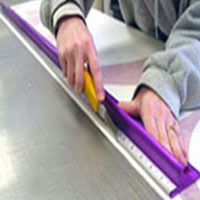 This is THE ULTIMATE STAINLESS STEEL straight edge safety ruler.